Do you ever wonder why some people can’t smile? West Cobb Dentistry wants to educate and let people know that they can regain their smile back. How? Through a few tweaks and enhancements on their teeth. Our dentists will ensure that your smile will be a testament to our skill, expertise and artistic finesse. One of the services we offer for our clients to get their smile back is cosmetic dentistry. Our Kennesaw dentists will assess and address how we can give back your natural smile. At the same time, let you have a healthy set of teeth that you can be proud of. What is the difference between traditional dentistry and cosmetic dentistry? To clear out the elephant in the room, traditional dentistry is different from cosmetic dentistry. The former focuses on oral hygiene and treats oral diseases. Cosmetic dentistry, on the other hand, focuses on improving the appearance of our teeth, mouth, and smile.Composite bonding, teeth whitening and dental veneers are all under the cosmetic dentistry family. All these treatments are being done on our teeth to ensure that we can flash our smile to friends, family and even strangers. 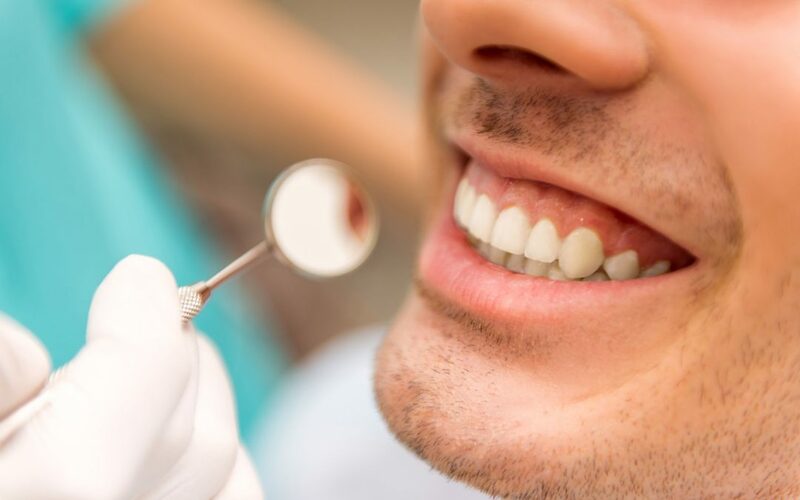 Apart from cosmetic dentistry, our dentist office in Kennesaw also offers services like preventative dental service and restorative dental procedures. Preventative dental service, in a nutshell, is all about managing our oral health. This is to avoid any tooth decay and other dental diseases to penetrate our mouth. On the other hand, restorative dentistry service is about the treatment of conditions affecting our teeth, gums and the maxillofacial portions of our body. West Cobb Dentistry, also a restorative dentistry in Kennesaw, aims to restore our patient’s oral health. We do this by making sure that their teeth and gums function in a stable and durable oral foundation. All these services are in one way interconnected to each other to get that natural smile back. There is a fourth service that needs to be done but that task goes to you – our clients. All the efforts of restoring and making sure that your teeth are in perfect health can only be maintained if you would also take great care of them. Now that we have a greater understanding of why some people can’t smile, how about an experiment? smile at the next person you see. Tell them more about this great dentist office in Kennesaw that can give them their smile back then ask them to pay it forward too. Moreover, they can visit https://westcobbdentistry.com/ for additional information. Contact us today for expert dental care.